Home Entrance Exams WBJEEB WBJEE Counselling 2018 Seat Allotment – Announced! 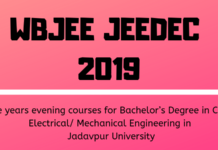 WBJEE Counselling 2018 Seat Allotment – Announced! WBJEE 2018 Seat Allotment is going to be announced in three rounds. The eligible candidates can register for online counselling on the WBJEE official site. Only those candidates, who registered and fulfill the eligibility criteria are considered for seat allotment of WBJEE 2018. The WBJEE seat allotment will be done on the basis of WBJEE 2018/JEE Main 2018 score and merit. 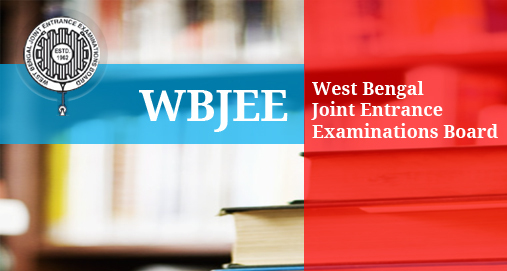 The candidates may check complete details about WBJEE 2018 Seat Allotment and more from this page. Latest: WBJEE Counselling 2018 Mop Up Round Seat Allotment has been announced. From the table below, the candidates can check the seat allotment dates for each round of WBJEE 2018 counselling. 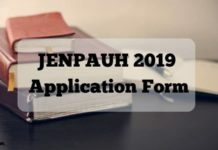 Seat Allotment: Click Here to check the Mop Up Round WBJEE 2018 Seat Allotment. There will be three rounds for seat allotment. Candidates can get detailed information about seat allotment process below. In the first round, all seats is allotted to the eligible the candidates and result showing institution and course allotted is available on the site. All the candidates who get an allotment will have to report to the Reporting Centres for taking provisional admission. Candidates who will not report for provisional admission will be considered opted out of system and their seat will be declared vacant for the next round. Note: Candidates who get seat allotment first time in any of the three rounds have to report to the Reporting Centres and not to allotted Institutes. The allotted institutes will be accepting only those candidates who have reported at RC and opted for no-upgradation. Reporting process for candidates getting 1st time in any round of seat allotment. Candidates who have successfully got their seat allotment for the first time in any of the three rounds have to report at the Reporting Centres. All allotted candidates have to pay the Seat acceptance fee either through e-challan of Allahabad Bank or Debit/ Credit Card and then download the provisional seat allotment letter. Allotted Quota Fee in Rs. Group 1: Candidates who did not get seat allotment in the 1st round. Group 2: Candidates who were allotted a seat in the first round of counselling and reported at the RC but their allotted seat got cancelled due to non-fulfillment of specified eligibility criteria. Group 3: Candidates who successfully completed all the admission formalities and submitted willingness “YES” for up-gradation in the following round of seat allotment. Group 4: Candidates who successfully completed all the admission formalities and submitted willingness “NO” for up-gradation. Such candidates old allotted seat will be kept in the same category or in the up-gradation category. Candidates who did not reported at the RC after seat allotment in 1st round. Candidates who registered and then withdrawn from RC. Candidates who became non eligible due to unconformity of documents. For Group I and Group II: All the choices will be processed. For Group III: Higher preferred choices will be processed only. For candidates of Group III only higher preferred choices will be processed or their previously allotted seat may remain unchanged. Such candidates need not to report to the RC unless they wish to change their willingness from “YES upgradation” to NO upgradation”. Group III candidates who had earlier chosen “Yes Upgradation” and now wish to change it to “No Upgradation” should report to the same Reporting Centre during the specified period. Candidates of Group iV whose previous allotted seat remain unchanged, need not to report to RC. Third Allotment result will be published by the officials. Business rules for eligible and not eligible candidates will be same as described in 2nd round of counselling. Registered candidates of 3rd round will report to the Reporting centres for completion of admission formalities. Conversion will take place in 3rd of counselling. Candidates who have taken the provisional admission in 1st round can change their willingness from “YES up-gradation ” to “NO upgradation” after the 2nd round of allotment. NOTE: Candidates are not allowed to change the option from NO to YES. For changing their willingness candidates need to report to the same RC where provisional admission letter was issued for a specified period. Candidate may need to fill in and sign for change of option. A modified letter will then be issued by RC. Candidates who wish to withdraw their allotted seat and seek refund of fee have to report to the same RC where provisional admission was taken as per the specified schedule. As per the rules of WBJEEB, refund rules of Ministry of Human Resource Management, Govt. of India vide number F-1-3/ 2007 (CPP-II) dated 23-04-2007 will be applicable.